FHM met with Jun Sunga, the proud owner of nine Alaskan Malamutes. We visited his farm in Batangas City, which also serves as a home for his brood of large dogs. During our conversation, he passionately shared some interesting details about these ultra-cute canines. 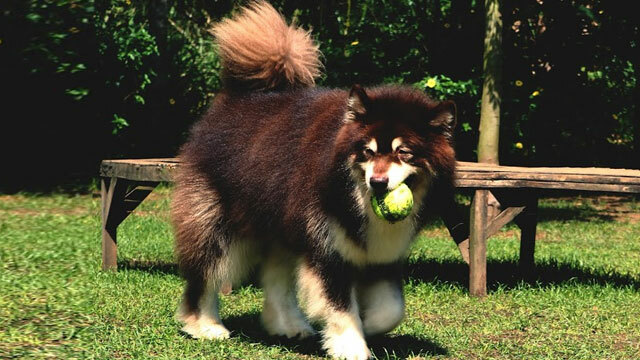 Aside from the fact that Malamutes—traditionally used for pulling sleds in cold countries—have the ability to adjust to the Philippine's climate conditions, he gave us some fun insights and trivia about these furry beasts. Watch for our feature on Jun's life with his nine large barking buddies soon. In the meantime, try not too overdose on cuteness because of these adorkable creatures.